Years and years ago, I met my friend Julie for dinner and drinks at a restaurant called Friday Saturday Sunday. Read about this delightful Philadelphia institution here. Friday Saturday Sunday is famous for its cream of mushroom soup, and they kindly shared their recipe online. Living in the shadow of the mushroom capital of the world, good mushrooms are pretty easy to come by around here. But not to worry, “good” mushrooms are not required for this soup. By cream mushrooms, I am assuming chef Billy Weaver means basic white or crimini mushrooms. You can certainly go fancier, but the simple white button mushroom works very well in this soup. And as chef Billy says, the older the better. Please do not skip the cognac. It definitely gives this soup a delightful complexity it would otherwise lack. I have been making this recipe for years, always to rave reviews. It’s as delicious as it is easy. Don’t worry if the mushrooms are not “brand new fresh” – all the better. 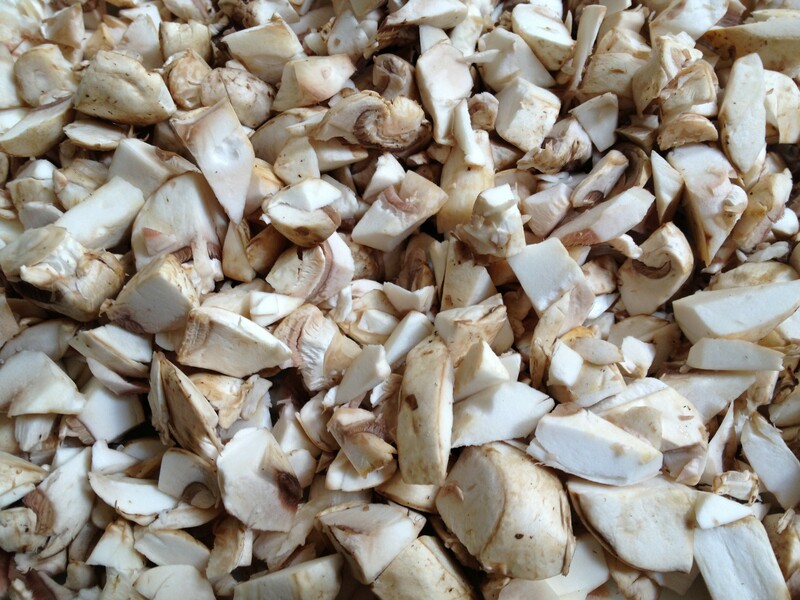 Mushrooms that have browned slightly add color and taste to the soup. Chop the mushrooms into a fine dice. Place in a large sauce pot with the butter and saute until most of the liquid in the mushrooms is “cooked off”. Sprinkle the flour over the mushroom mixture. Stir while cooking for a few minutes, then add the chicken stock and mix well. Allow the mixture to reduce over a medium flame to half its original volume (about 1/2 hour). Refrigerate until just before dinner. Before serving, heat mixture while adding the heavy cream. Add cognac and salt & white pepper to taste. Serves 6. 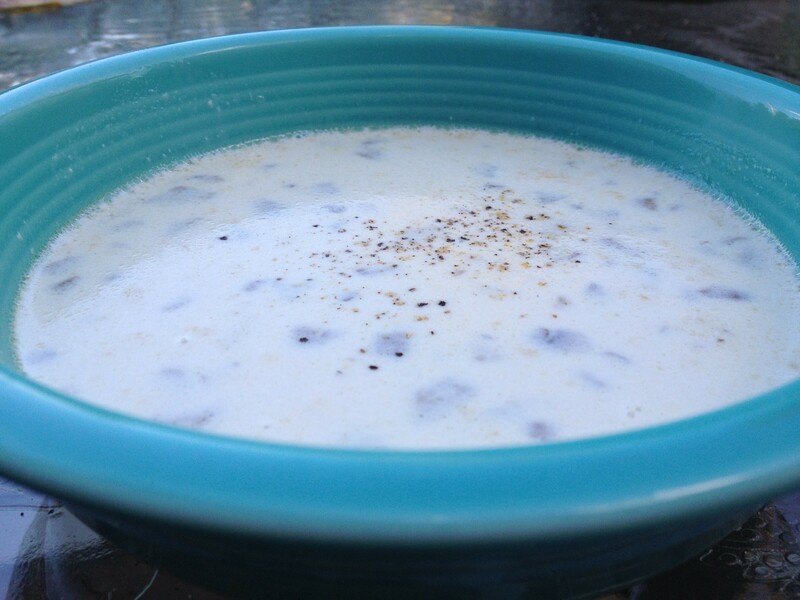 This entry was posted in Side Dish and tagged cream of mushroom soup, easy cream of mushroom soup, Friday Saturday Sunday restaurant, mushroom capital by Mom Mom's Apron. Bookmark the permalink. oh that is my kind of soup! Can’t wait to try it!